Per THR, insiders are saying studios are making offers to Gunn, adding that they would “work with him in a heartbeat.” That is high praise for a filmmaker who was seemingly fired too quickly. 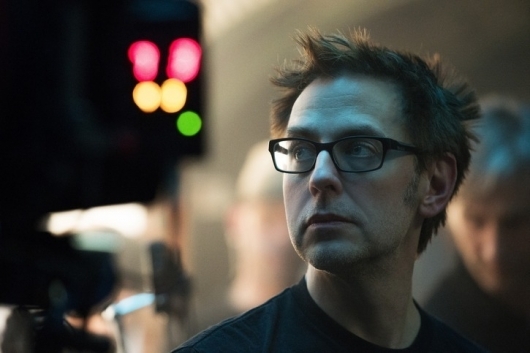 According to the report, Warner Bros. is one of the top studios who want to work with Gunn. Though they would not specify what kind of project he would work on, many are speculating that it could be another DCEU title. Given that Gunn is well-versed in the superhero movie genre, it makes sense. Of course, I’d like to see him behind the lens of other projects. But we’ll just have to wait and see if that happens. The interest comes in the wake of the overwhelming support that Gunn has received. First, the cast sent out their sentiments, individually. Next, they signed a letter asking that he be rehired for Vol. 3. But the one person who has been most vocal about this is Drax actor Dave Bautista. Just this week he delivered an ultimatum to Disney that if they did not use Gunn’s script, he would quit Vol. 3. And it looks like they listened. Sources close to the negotiations say that Disney plans on using Gunn’s script. But it also appears that the negotiations are far more complicated than originally thought. Adding to that is the fact that Vol. 3 is scheduled to begin production later this Fall for a 2020 release. It wouldn’t make much sense for Disney to write a fresh script, especially when one is waiting for them. Gunn’s contract likely was not “pay or play,” “a status that would require Disney to pay him his full fee regardless of whether his services are actually used.” This status is only given to those directors “when a movie is officially greenlighted or eight weeks prior to the start of production, neither of which had occurred.” Additionally, Gunn was said not to have breached his contract because the tweets were made years before he signed on with Disney. As a result of this, Gunn could be paid $7 million to $10 million for his services. Maybe even higher, according to some experts. And there’s more. According to the same report, there is hope that Gunn could be hired by Disney to work in some capacity or even direct another Marvel movie. Gunn had planned on staying on to help further develop the galactic portion of the MCU after he finished Vol. 3. So why have Disney and Marvel been so quiet about all of this? Did Disney react too quickly? Is their silence a sign that they may be regretting the decision? We won’t really know until a final decision has been made. But based on the reports, it looks like there will be other studios who will jump at the chance to snag the director for their films.